Esther's cake was a bit of a challenge. It wasn't so much the cake, but the frosting really gave me some trouble. Esther was very specific about the type of frosting she wanted. 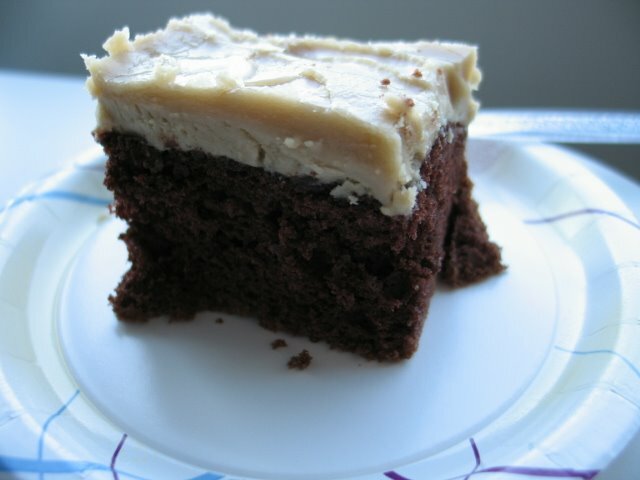 It had to be Penuche and it had to be from her Betty Crocker Cookbook from 1973 (or there bouts). She gave me a copy so I could make it just right. Well, I followed it...including the part that instructed me to put the hot pan I was using to make the frosting into an ice bath. This step occurred right as I was trying to mix the powdered sugar into the molten butter and brown sugar mixture. What the heck was Betty thinking?! 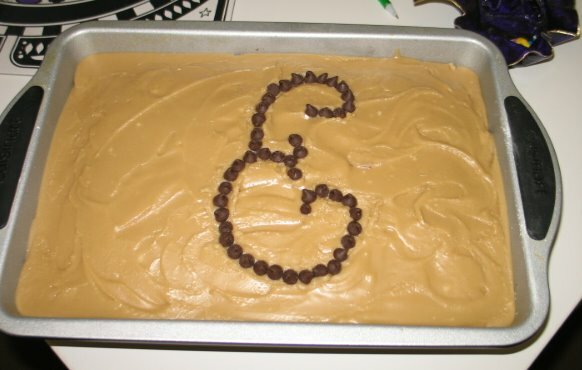 The frosting turned cold and hard in places and the frosting turned into fudge. It became impossible to mix and was very thick like cookie dough. Since I had never made it before and I didn't have a picture to go by, I figured that was what it looked like so I smeared the thich sludge on top of the cake and called it a night. The next morning I checked on the cake and the Penuche had turned to hard like shellac. Ick! I just couldn't bring that to Esther! I decided to make it again, this time using the recipe below. It was pretty much the same recipe, except this time I used double the amount of half and half and no ice bath. I couldn't remove the old frosting without destroying the cake so I just poured the molten frosting over the top of the old frosting and hoped for the best.It turned out just fine and Esther liked it. Phew! I couldn't remove the old frosting without destroying the cake so I just poured the molten frosting over the top of the old frosting and hoped for the best. Place oven rack in center of oven and heat to 325 F. Set aside an ungreased 9x13" pan. Place egg whites and cream of tartar in a medium-size mixing bowl. Beat with electric beaters on high speed until stiff peaks form--about two to three minutes. Set aside. Place cake mix, water, oil, egg yolks and vanilla in a large mixer bowl, and with same beaters (no need to clean them), blend on low speed for one minute. Stop and scrape down bowl. Increase speed to medium and beat for two minutes, again scraping down bowl. Turn the egg whites out on top of the batter and fold in with a rubber spatula until batter is light but well-combined. Pour batter into the ungreased pan, smoothing top. Bake for 30 minutes or until cake springs back when lightly pressed. Remove and turn it upside down over the neck of a glass bottle. Cool for one hour. Melt the butter; add the brown sugar and cook over low heat two minutes, stirring constantly. Add the milk and continue stirring until mixture comes to a boil and cook for about a minute. 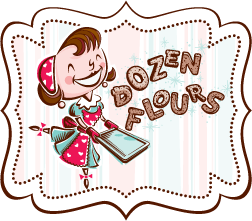 Add confectioner's sugar until the frosting is of a spreading consistency. The frosting reminded me of pralines. It was a treat in itself, and I am usually not a frosting fan!